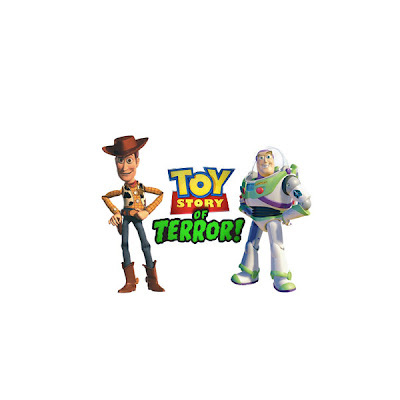 Blue Sky Disney: Toy-ror Story.. While there are no plans for any new feature films in the near future, it looks like the folks at the Lamp have plans to go ahead with more than just the shorts that we've seen in front of Pixar releases. While the feature film franchise has ended for the time being, it has become clear that Woody, Buzz and the gang will not go quietly into the night. From "Hawaiian Vacation," "Small Fry," and "Partysaurus Rex" we can see that there will be a future, at least in short form, for the toys from Pixar's first, classic film. And more are to come over the next few years. Now, it appears that the Lamp is going to go into Dreamworks territory. If you remember a few years ago there was the DWA special, "Scared Shrekless" for Halloween? Well, now the artists in Emeryville are planning on giving us a spooky half-hour show for trick or treaters in 2013. "Toy Story of Terror" will be a special that is tentatively scheduled for this time of year that will feature the entire crew in a tonally scripted tale. No network is attached yet for broadcast, but ABC is the prime candidate for the special since they have a record of working with Lasseter on projects like Walt Disney Animation Studios' "Prep & Landing" projects (which sadly may not have a third). That is great news and no matter what they do, we need more entreating cartoon movies. The "Prep and Landing" franchise started out so well, and then lousy scripting killed it. I have the P&L DVD, and was appalled by how weak the "Secret Santa" short was. "Naughty and Nice" wasn't much better. Only the original special still shines. Shame on you, Disney, for dropping the (shiny glass) ball. That's a shame, I had such hopes of a third prep and landing special, maybe with an old elf who after years of suffering christmas joy year after year becomes the villian of the special ala scrooge or a teen rebel punk sort who rejects Christmas and wants it to be more like Halloween. Sort of like an ironic twist, the villian is the person who works for the company and knows it's weaknesses.